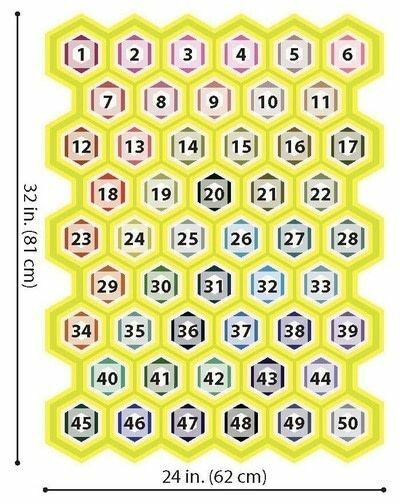 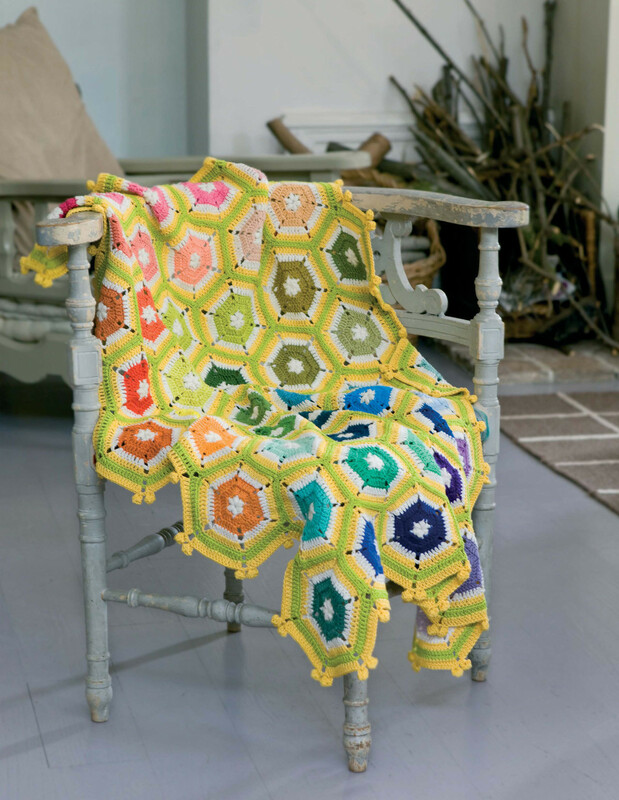 This variation on hexagon motifs includes 50 hues arranged in a gradient and surrounded with yellow and green in candy colors. 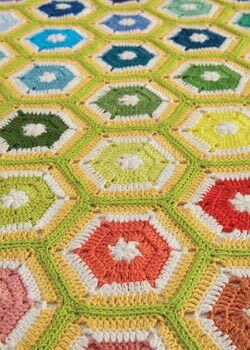 Posted by Stackpole Books • Published 15th May 2015 • See Stackpole Books's 5 projects » © 2019 Kristel Salgarollo / Stackpole Books · Reproduced with permission. 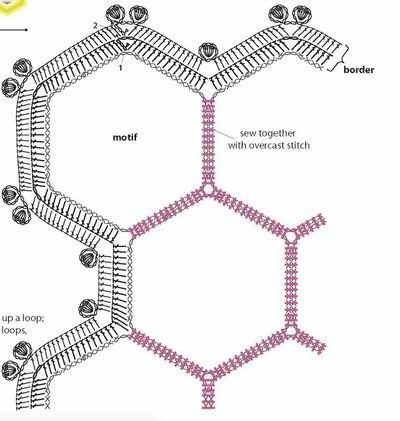 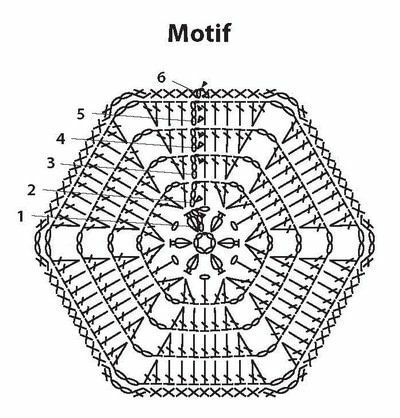 Work the motifs as shown in the diagram below, starting with a ring of 6 chs joined with a sl st.
Make 50 motifs. 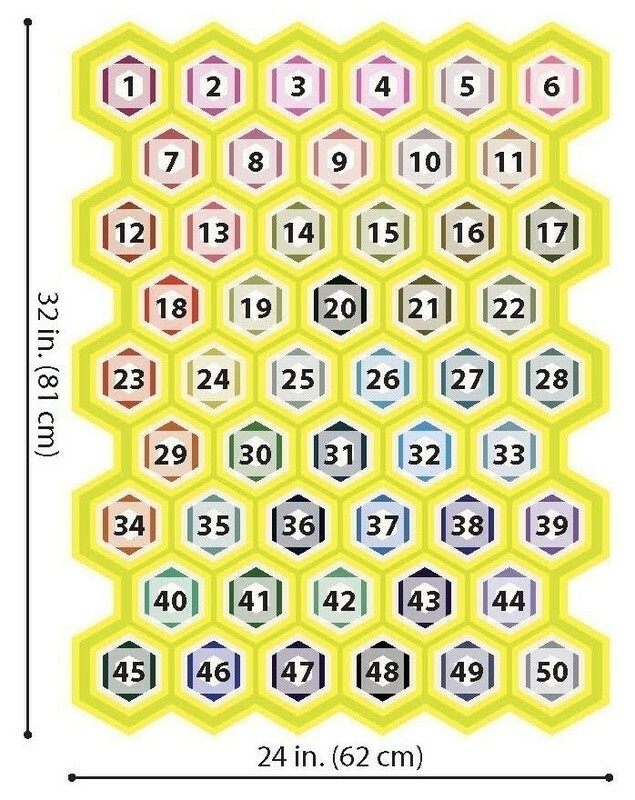 For the colors used, see the table below. 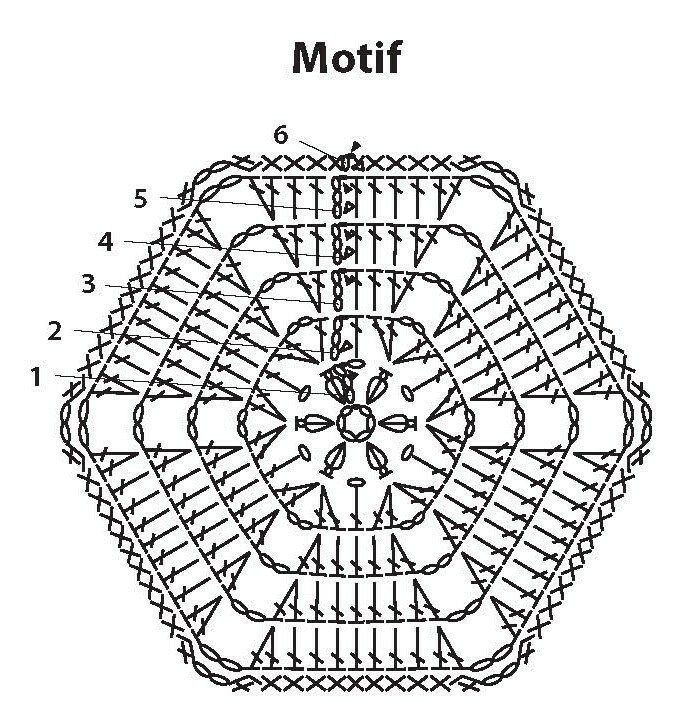 Assemble the motifs in 9 staggered rows of 5 or 6 motifs each with overcast stitch as shown in the diagram below. 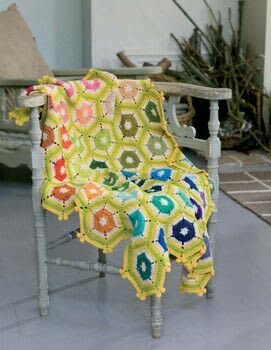 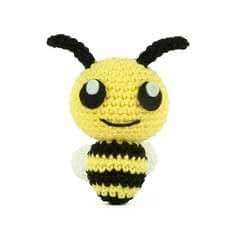 For the border, work 1 round of double crochet in light green and 1 round of double crochet and popcorn stitch in yellow, as shown in the diagram.